At the end of Parshas Mishpatim, the Torah returns to the narrative of the Sinai Revelation. (The commentaries debate whether the events described in Exodus 24 took place before or after the revelation of the Aseres Hadibros (Ten Commandments) described in Parshas Yisro.) It is here we find the famous declaration of the Jewish people (Exodus 24:7), "All that God has spoke, we shall do and we shall hear." Israel entered the covenant through three things: Circumcision, immersion [in a mikva], and korban (a sacrifice). The circumcision took place in Egypt, as it states (Exodus 12:48), "And no uncircumcised man eat of it (the Paschal lamb)." ... Immersion was performed in the wilderness before the Giving of the Torah, as it says (19:10), "Sanctify them today and tomorrow and they shall wash their clothing." And the korban, as it says, ""And he sent the youths of the children of Israel and they brought up elevation-offerings." They made these sacrifices on behalf of all Israel. And so it is for [future] generations, when a non-Jew wishes to enter the covenant and shelter beneath the wings of the Shechina and he accepts upon himself the yoke of the Torah, he requires circumcision, immersion, and offering a korban. If she is a woman, she requires [only] immersion and a korban. For the Torah says (Numbers 15:15), "As for you, so for the convert," [meaning] just as you required circumcision, immersion, and the offering of a korban, a convert in [future] generations will also require circumcision, immersion, and the offering of a korban. ... And in our time, when we cannot bring korbanos, a convert requires circumcision and immersion, and when the Temple is built he will bring his korban. This event was the highest pinnacle of spiritual achievement in the history of the Jewish people. The Talmud (Shabbos 88a) tell us that when the Jewish people declared, "We shall do and we shall hear", six hundred thousand angels came and set two crowns upon each Jewish man. Yet, just forty days later, the Jewish people sinned with the golden calf, and, the Talmud continues, they lost those crowns that they had earned only a short time before. Ultimately, despite the powerful and transformative experience of their conversion, the Jewish people were still subject to the same challenges and temptations that they had been subject to before they underwent their conversion. The Torah admonishes in many places regarding [afflicting] the convert, because his original nature is bad (and he is therefore more likely to abandon the Torah - Gur Aryeh). As should be self-evident, this does not mean that converts are inherently "bad" people. There are innumerable sources that speak of the great virtues of converts (including the medrash upon which I based the name of this blog). The point is that, just as that first generation of Jews faced exceptional challenges because of their background in Egypt, a convert also faces spiritual challenges that are far more difficult that those faced by someone who was born a Jew, and we are required to bear this in mind when we interact with a convert. It is also of vital importance for those who mentor converts to be sure to make this clear to a potential convert. It is all too easy for a potential convert to imagine that his conversion will transform him into a new reborn being, without the challenges and difficulties that he had before conversion. This is simply a falsehood, and only sets the convert up for a sense of failure and rejection when it inevitably fails to come true. The nature of man is never changed by God by way of miracle.... it has never never been His will to do it and it never will be. If it were part of His will to change the nature of any person, the mission of the prophets and the giving of the Law would have been altogether superfluous. The Baal Shem Tov ('ספר הבעש"ט לך לך ג) is quoted as saying in the name R' Saadia Gaon, כי עיקר בריאת האדם בעוה"ז הוא לשבר מדות רעות שלו הטבעיות - "The primary purpose for the creation of man in this world is for him to break his natural bad characteristics." The struggle to overcome our natural, inborn urges is the primary purpose of our existence. It is the reason why we are here in this world. What about, "I will turn away the heart of stone from within you... and I will give you a heart of flesh"? Or "Lev tahor b'rah li Elokim - A pure heart create for me, O L-rd"? Or the "shechting" of the Yitzra d'Avodah Zara? Etc., etc. These are all good questions, however I don't believe any of these (or any of the other similar sources) actually contradict the basic point made by the Rambam. 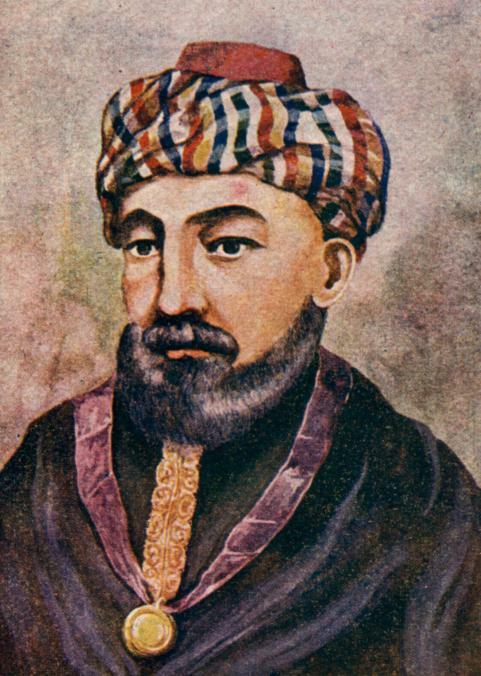 The Rambam says that God does not miraculously change human beings to conform to His will. However, ultimately, of course, all of our strength - including our natural abilities - come from God. Even our free will is something that God gives us. So even when we achieve change "on our own," ultimately that too comes from God. Secondly, even though we need to make the efforts on our own, it is only God that makes it possible for us to approach him. This is especially true with regard to repentance. The spiritual damage caused by sin is very real, and it should be no more possible to rectify that damage through repentance than it should be to save oneself from the effects of poison by sincerely regretting the choice to drink it. The possibility of repentance is therefore a fundamentally a miracle, in that God makes it possible for us to rectify the damage of our sins through repentance. But it is still we who must do the repenting. It is this that David is praying for when he asks, "Lev tahor bra li..."
I suspect the removal of the temptation of avoda zara is a fundamentally different issue. The yetzer of avoda zara, like every such urge, had positive and negative aspects. When it was removed, we lost both aspects (thus, we lost the gift of prophecy at the same time). This would certainly be an example of God changing human nature, however it did not change man in a fundamentally positive direction. Rather, it is as if we were all struck blind in a certain sense. This blindness will be rectified l'asid lavo, and that may be part of the meaning of the pasuk in Yechzekel about God giving us a heart of flesh. These are just some quick thoughts to address your questions. However, I will readily admit that this is actually a major topic, and I do not claim to have exhausted the subject in this one post.